Welcome to Bermuda Dunes Real Estate where you can access all Bermuda Dunes homes listed on the local MLS. Below is a sample of available properties and you can find many more by following the City of Bermuda Dunes real estate link at the top of the page. If you have questions or would like to set up a private showing, please contact us online or give us a call at 760-285-3578. Bermuda Dunes is an unincorporated Community, located in the northeast end of the Coachella Valley. It was named after the Bermuda Dunes Country Club, one of California’s finest older golf clubs. Host of the Bob Hope Chrysler Classic tournament since it was first started in 1960. 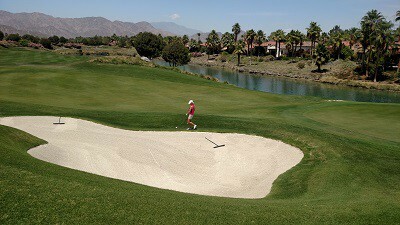 There are 10 golf clubs and golf course communities within a five mile radius of Bermuda Dunes. Equestrian friendly areas abound in Bermuda Dunes with many miles of riding trails to explore. Equestrian properties are unique to this small area, and single family homes on large parcels are plentiful. Bermuda Dunes has been called home by many well known celebrities. The Country Club’s “Traditional” style golf course has drawn many other celebrities and professionals from all over the world to play there. The Bermuda Dunes Airport is a small public airport which is home to Desert West Aviation, a local flight school, and Desert Jet, a local aircraft charter company. For Education, there are public and private schools to choose from. The Desert Sands Unified School District offers public school for K-12. Christian Schools of the Desert is a private school located offering classes for preschool-12. The College of the Desert and the combined campuses of CA State University-San Bernadino and University of CA-Riverside are nearby, making quality higher education opportunities readily available across the valley here.